BCA's latest Pulse report shows that average values were flat in November with month on month values averaging exactly the same value as recorded in October. 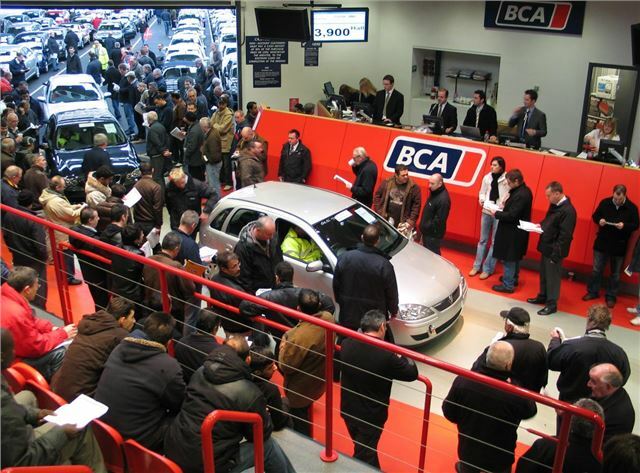 The average used car value at BCA stayed at £5,792, with performance against CAP Clean improving marginally from 96.24% to 96.3%. Year-on-year, values are £111 behind November 2009, a fall of 1.8%. Values remain well ahead compared to November two years ago, however, with £969 separating the two figures. Overall volumes increased a little in November, entirely due to fleet & lease numbers increasing by some 5%, as nearly-new and part-exchange numbers fell. Fleet values fell back by £304 to £7,115 - the second consecutive monthly fall - and have declined by around £600 in the past eight weeks. This pattern is entirely consistent with this time of year as trade buyers ease back in advance of the Christmas break, as BCA Communications Director Tony Gannon explained. "Retail used car business levels tend to be slower at this time of the year and the reality is that not many motorists find a replacement used car in their pile of presents on Christmas morning. Consumers prefer to get Christmas out of the way and look for a car in January, perhaps with a pay review or bonus under their belt." The fall in nearly new values reflected a shift in model mix as fewer numbers were actually sold over the month. Values remain strong however, and CAP performance improved by half a point against October to sit at 102%. Gannon commented "In many ways the under 12 month old car remains a very desirable commodity - a considerable saving over the new price, and no ‘on the road costs'. This desirability may increase further with the new VAT regime next year." The continued strength in the budget end of the market has buoyed values in the part-Exchange sector. Gannon commented "The budget sector remains very busy and again is short of stock - the competition for cars in the £1,000 to £3,000 price band has been strong all year and is very much a reflection of the economic downturn. If the family car needs replacing, then it will be done, even if funds are tight. Often these vehicles will be the principal school run, work and recreation transport, so are essential to family life." Gannon added "One significant factor affecting the last days of the month was, of course, the weather. In past years, the snow and attendant travel chaos would have caused serious disruption to the remarketing sector, simply because the industry remained largely reliant on trade buyers being physically in the same location as the vehicles they were buying." "Nowadays, the effect is heavily mitigated by the availability of internet bidding and BCA saw Live Online buyer volumes rise sharply from a typical 18% of sold vehicles to average over 23% nationwide. However, the markets are not immune to the severe weather and there is little doubt that retail businesses were affected in the short term and that impacted on the wholesale markets in turn." Gannon concluded "While professional buyers remained active in November, there was a noticeable drop off in demand, tempered somewhat by the continuing shortage of stock. It is likely that this will continue into December, although we could see a small rally in values as the bigger dealer groups and car supermarkets compete to buy stock in advance of the anticipated busy New Year trading period."